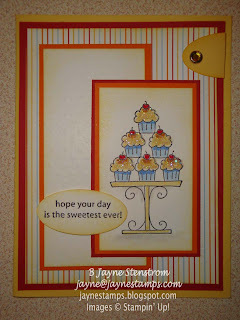 ~ ~ ~Jayne Stamps ~ ~ ~: Cupcakes, Medallions, and Daisies? Hi stampers! 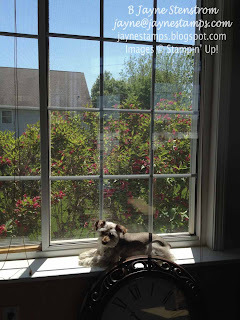 Glad to be back again to chat with you! I have more card samples showcasing retiring stamp sets. This is actually fun for me to go back through my cards and enjoy seeing them up close again. 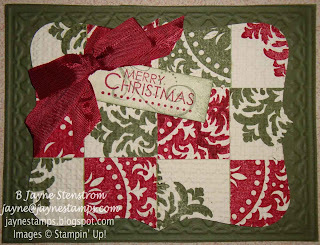 Sometimes I tend to get the cards made or through swaps, display them for awhile, and then put them in a set sampler and tuck them away. So I love going through them and choosing which ones to show you. I just don't have enough time for all of the samples I have! 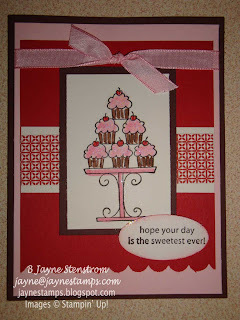 Both of these cards used the same image from the stamp set, but there's also a balloon, a single large cupcake, and a couple more images too! 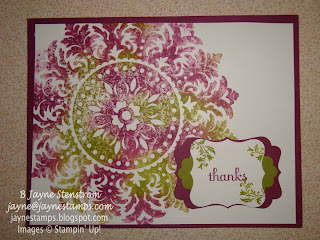 The next stamp is one of our background stamps called Medallion. 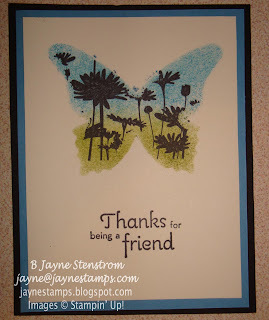 This has been SUCH a popular stamp - and I have seen it used so many ways! 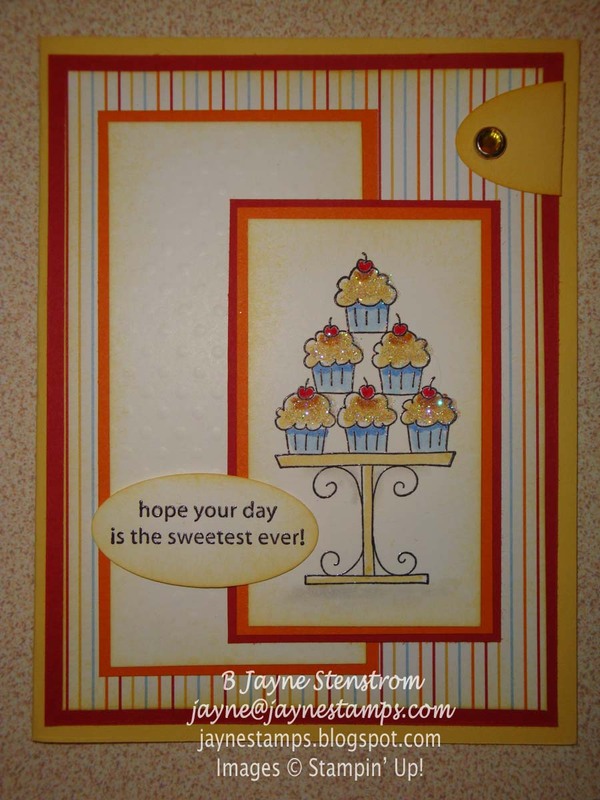 It's really versatile to use in the background of a card or as the main image, like on these samples. This one was made using the baby wipe technique to get the multi-colored image. 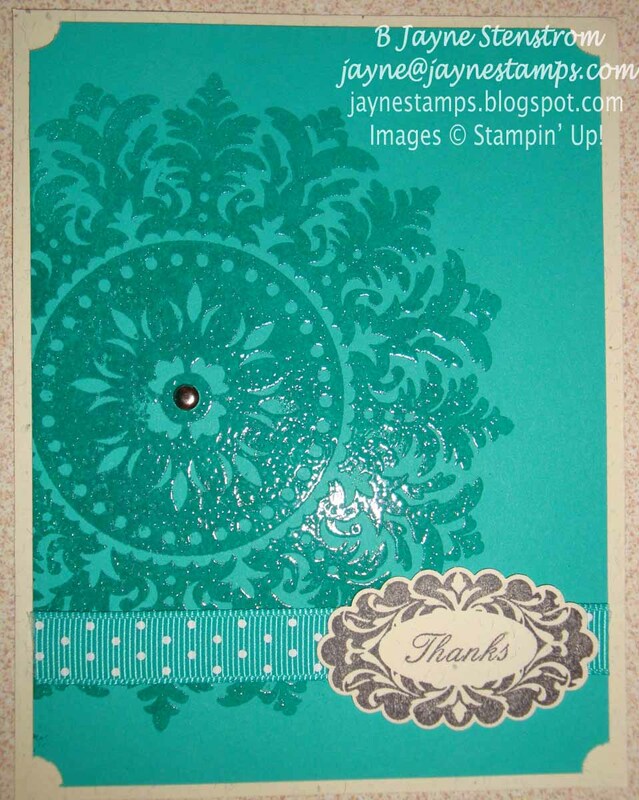 On this card the Medallion was stamp in VersaMark and embossed with clear powder on the colored cardstock. It just makes it pop! Last I have a couple of samples with the Upsy Daisy stamp set. 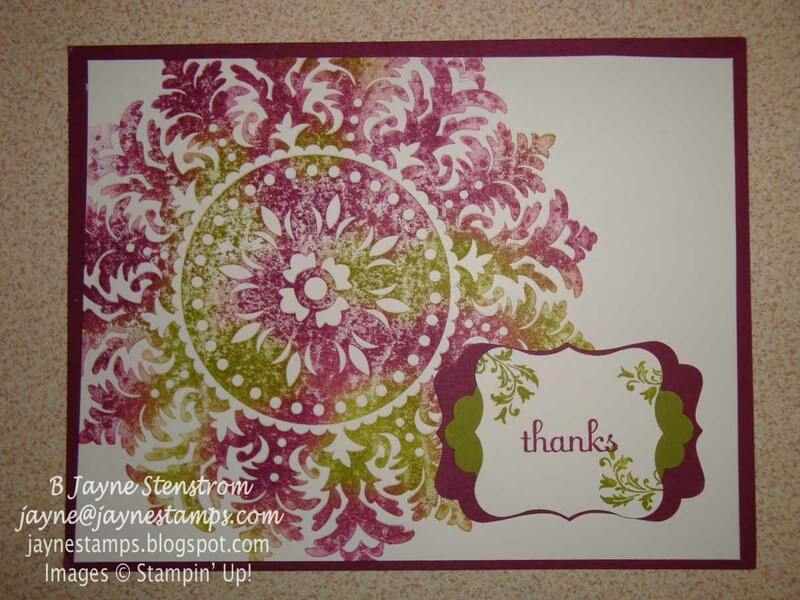 I have seen so many beautiful things made using this stamp set. This card was made using the "reverse masking" technique. If you'd like to learn more about how to do that, send me an e-mail and I'll be happy to give you a quick explanation! 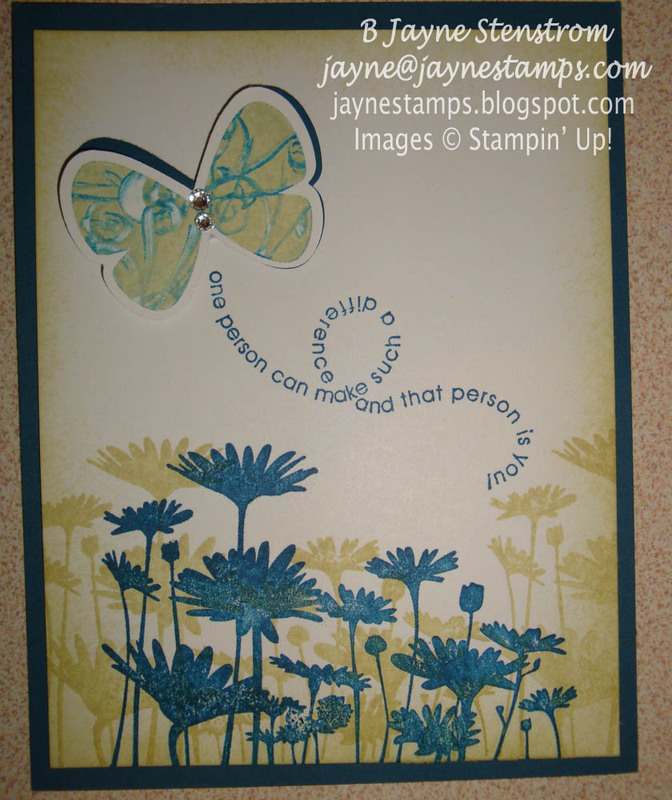 It's quite easy and makes a very neat effect! 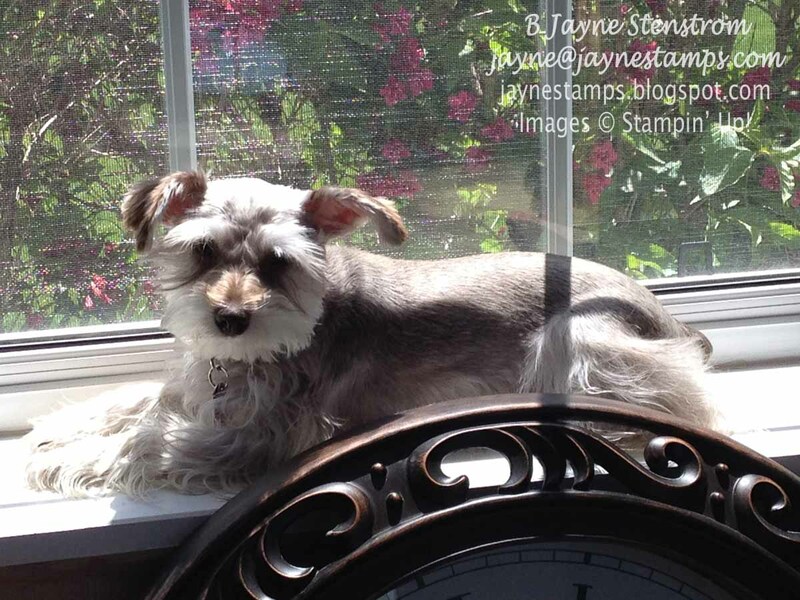 I think she's part cat - or at least she thinks she is! She loves to lay in the sunshine - just like our cats. In fact, if I'm looking for her, the best place to start is wherever there's a patch of sunshine in the house. She's probably there.